Did you compete in one of Nintendo's video game tournaments from the early 90's and wish you could do it all again? Or, like me, did you miss out entirely and wish you could go back in time to compete? With a recently announced Kickstarter you might get this chance. 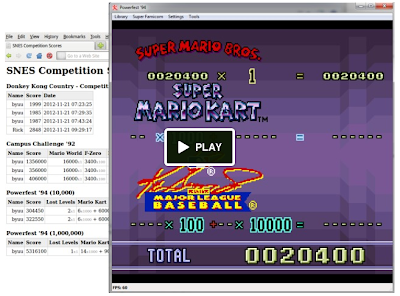 The project organized by Rick Bruns, a video game collector, and Byuu, the developer of an SNES emulator, will create a program that let's you compete internationally in Nintendo World Championships, Nintendo Campus Challenge 91 and 92, Nintendo PowerFest 94, Star Fox Super Weekend, and Donkey Kong Country Competition. The program will emulate all of these games, provided you can get the ROM files somewhere, and record high scores and leaderboards. If this sounds like the kind of project you would enjoy, go support the Kickstarter project today. They need to raise $5,000 to fund the development. This doesn't get funded yet that moron Pabich gets thousands for a ROM fix of an awful game. Appalling.